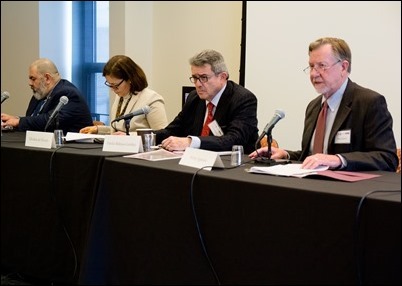 This past weekend I traveled to Washington, D.C. for one of our regular board meetings of the Catholic University of America. The Boston area is well represented on the board, with myself, Deacon Stephen Kaneb and Sister Janet Eisner as members. 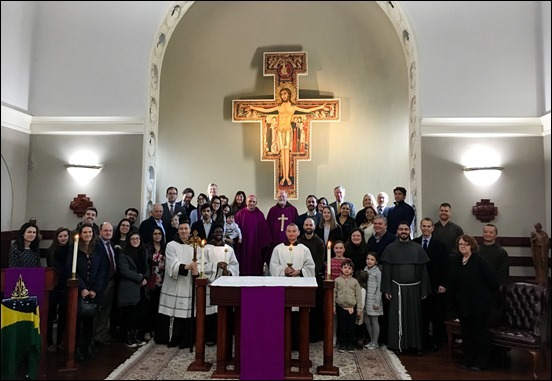 While I was there, I also had the opportunity to celebrate a Mass to commemorate the 90th anniversary of the Oliveira Lima Library at CUA. The university has the largest Brazilian library in the world outside of Brazil. 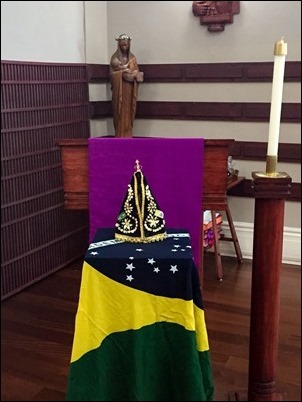 The collection was given to the University by Manoel de Oliveira Lima, a Brazilian diplomat who eventually retired from diplomatic life and was on the faculty of Catholic University. He contributed the library which, of course, in addition to books contains paintings, maps, manuscripts and other important works. 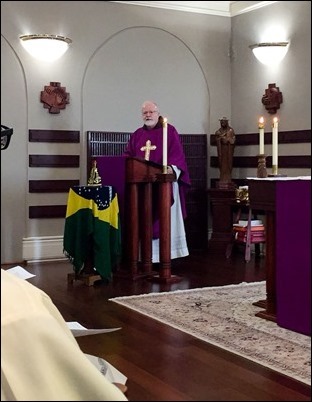 It is a great treasure for Catholic University, and President Garvey asked me to celebrate a Portuguese Mass to mark the anniversary. 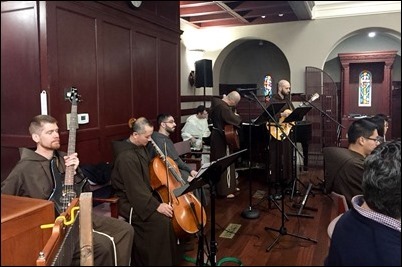 A number of people connected to the library from Catholic University were with us for the Mass and the Capuchin brothers, under the leadership of Brother Diogo, who is Brazilian, provided us with a beautiful music program. 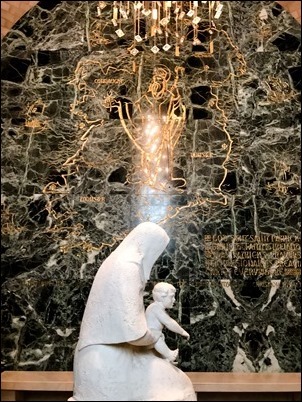 Of course, the Basilica of the National Shrine of the Immaculate Conception is just adjacent to the Catholic University campus. 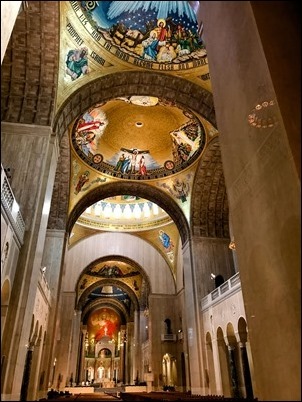 So, on St. Patrick’s Day I paid a visit to the shrine, which looks just stunning now that the renovations to the ceiling and interior of the dome have been completed. 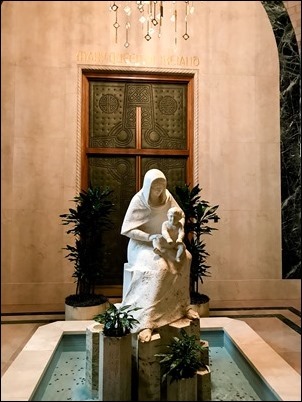 I made a special point of visiting the Irish Chapel, where Our Lady is sitting in the middle of a well because holy wells are a very important part of Irish tradition and places that people often go to on pilgrimage. 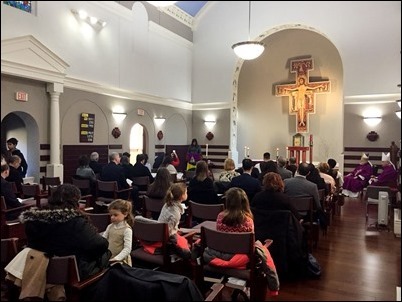 Later that day, I went to Sacred Heart Shrine, the Capuchin parish where I had worked many years ago, to participate in a vigil for immigrants they were holding. 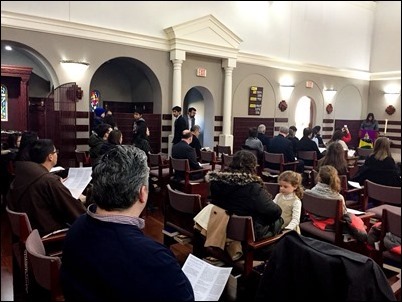 All day at the shrine there were people praying for families affected by recent changes to our immigration policies such as the revocation of DACA and Temporary Protected Status. 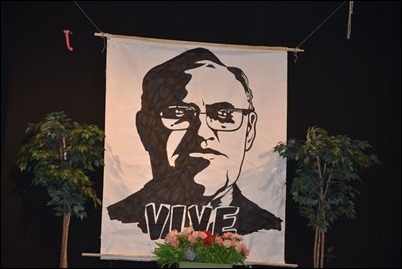 The vigil concluded with a Mass of Blessed Archbishop Oscar Romero, which I celebrated. 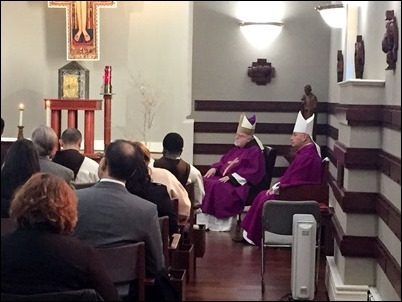 It seemed very fitting that the Mass was on St. Patrick’s Day — on the day when we celebrate a great missionary bishop, we also celebrated a bishop who was martyred for his great defense of God’s people. While I was at Sacred Heart, I was very struck to see a sign announcing a communal wedding ceremony. 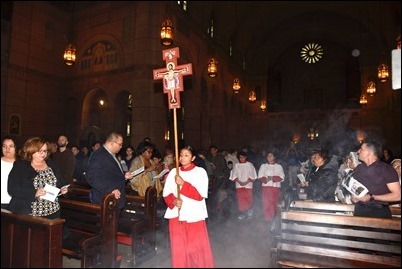 It brought back many memories because, when I was a priest in Washington, I would often celebrate big wedding ceremonies such as this. 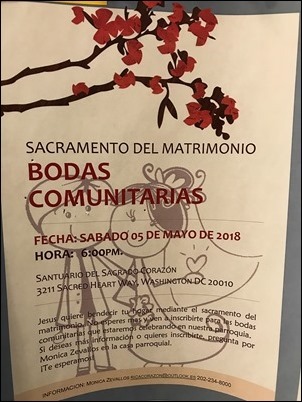 So, I was happy that Father Moises is continuing to do the same thing, inviting people to bless their marriages and be married sacramentally. 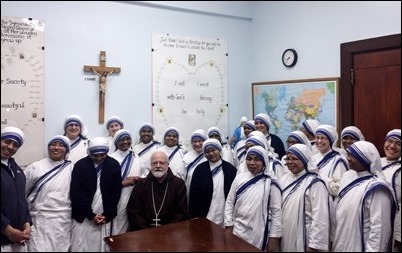 I also had a chance to visit the house of the Missionaries of Charity, Mother Teresa’s sisters, in Washington, which is not far from Catholic University. It was a wonderful visit, and I was very happy to see them. 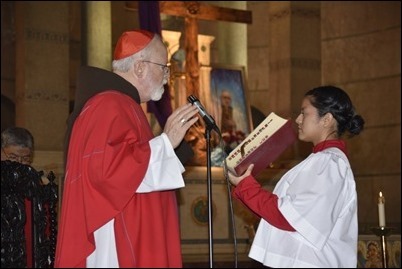 Then, on Sunday I celebrated the baptism of a little girl, Raquel Marie Conlon-Díez, whose parents I had married and whose mother I had baptized. Having been in Washington for 20 years, I had an opportunity to baptize and marry a great number of people. 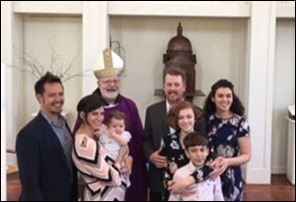 It’s always a great joy to see people that you have baptized being faithful to their baptism and their vocation, having children and raising them in the faith. 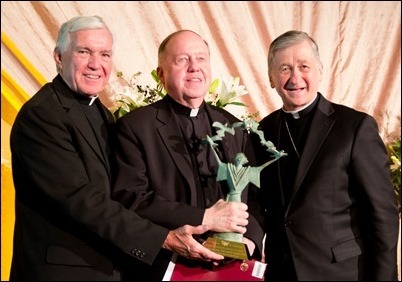 By Tuesday, I was back in Boston and was happy to be able to attend the gala dinner hosted by Catholic Extension at which they honored Boston College President Father William Leahy. 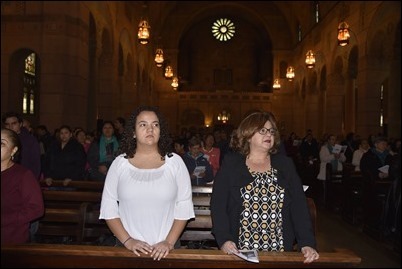 Boston College has partnered with Catholic Extension particularly for lay formation programs and programs for Latin American sisters who are working in Hispanic ministry in the United States. 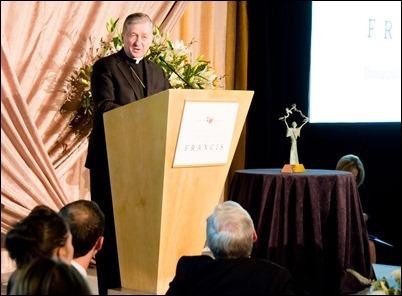 Cardinal Blase Cupich of Chicago, who is the Chancellor of Catholic Extension, along with the Catholic Extension President Father Jack Wall, presented Extension’s Spirit of St. Francis Award to Father Leahy. 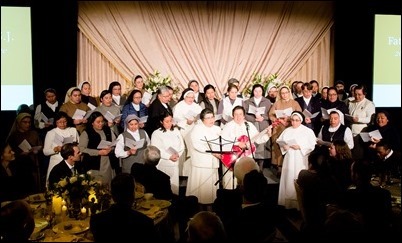 The evening concluded with a beautiful performance by the Latin American sisters. 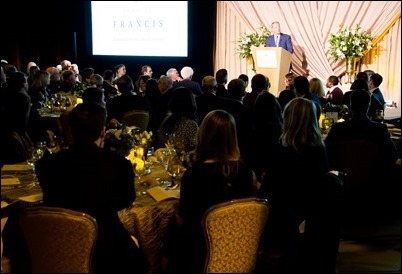 It was a very successful event, and I was pleased to be a part of the evening to celebrate and support the work of Catholic Extension. As I always like to say, when I arrived as bishop of the Virgin Islands, the entire diocesan budget was only $30,000 a year. 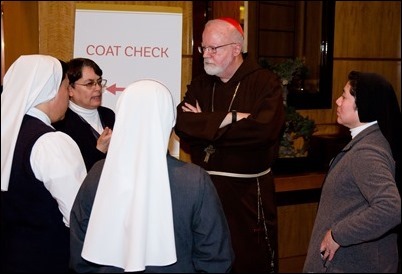 So, I turned to Catholic Extension to aid us with a number of programs, and they were a tremendous help. 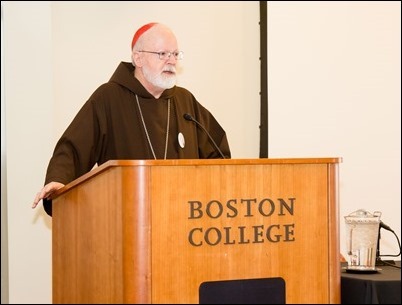 I’m very happy that Boston College is collaborating with Catholic Extension in their important work of supporting mission dioceses. 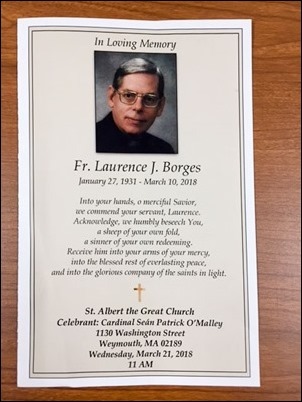 Wednesday, I went to celebrate the funeral of Father Laurence Borges at St. Albert the Great Church in Weymouth. 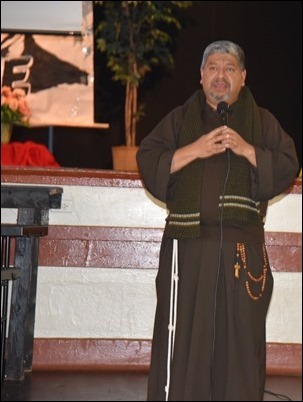 Father Borges, who had served with the St. James Society in Peru, was one of the early figures in Hispanic ministry in the U.S., so I had known him for over 40 years. 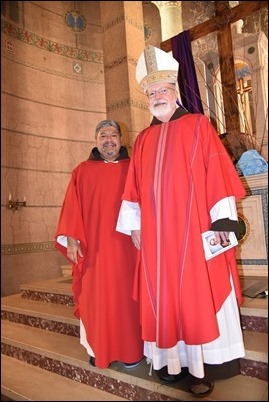 He, Father Wendell Verrill and myself were part of an association of directors of Hispanic apostolates. So, we attended many joint meetings and seminars, and even took a couple of trips together to Latin America. 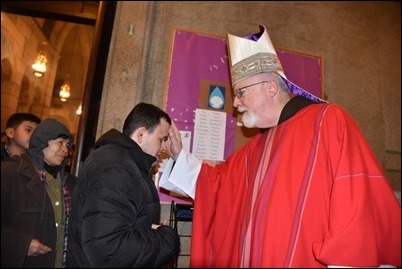 I always say that he and Father Verrill where the first Boston priests that I met. 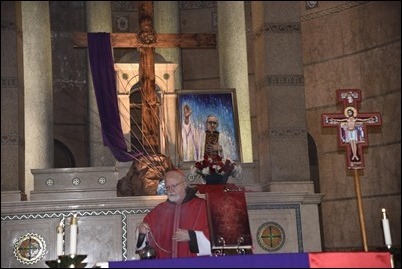 He was a wonderful priest who loved his priesthood and was a gentle and thoughtful pastor of souls. The funeral was a great tribute to his life and ministry, and we will all miss him. 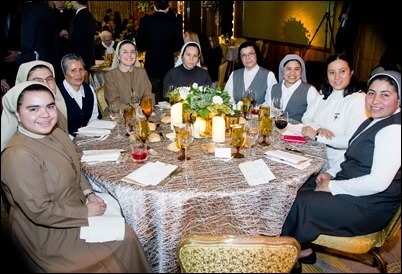 But, we are grateful to God for his friendship and his presence among us and for his faithful witness to his priesthood. 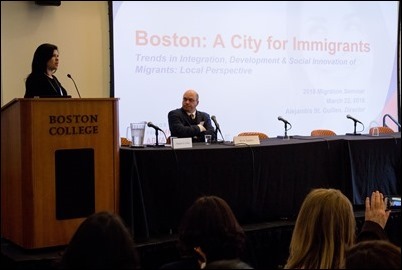 Finally, on Thursday I attended the seminar on the Contribution of Migrants to Development and Social Innovation held at Boston College. 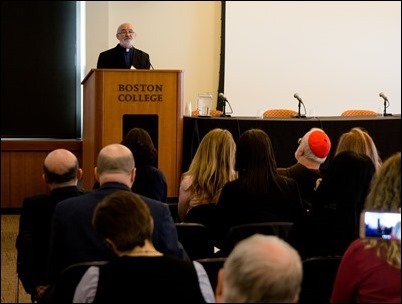 The seminar was jointly sponsored by The Scalabrini Centers of Migration in Boston and Boston College, and it was an opportunity to look at immigration issues from local, national and international perspectives. 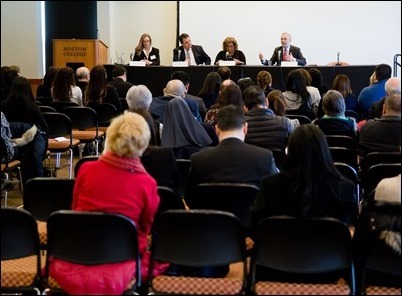 The seminar included discussion from a number of wonderful panelist speakers, many of whom are in fact immigrants themselves. 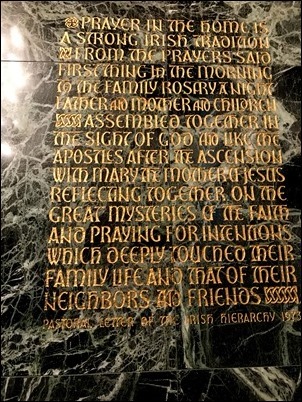 The Scalabrinians make such an important contribution to the life of our Church. 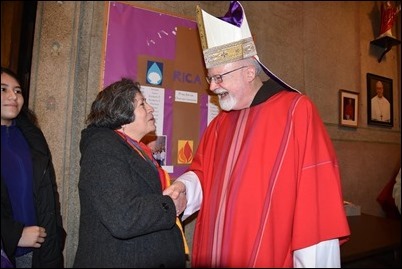 Both here in the Archdiocese of Boston and throughout the United States, they are doing such important work with immigrant communities. The order was originally founded to work with Italian immigrants, and are now doing so much with Hispanics, Brazilians, Haitians and other communities throughout the United States and around the world. I was very glad that they hosted the seminar because immigration is such an important issue at this time. There is such a great need for comprehensive immigration reform to address the present crisis that has put so many families at risk. So, I am very grateful to the organizers and the sponsors of this conference. I admire your love and concern for others! Hopefully, you do relax and enjoy time to just chill! 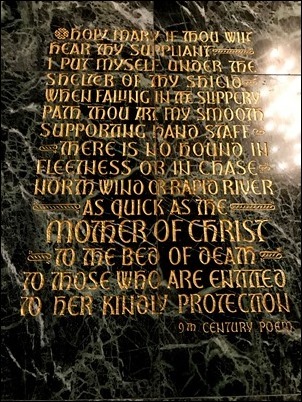 May you see our Lord wanting you to rest in His arms knowing you may do so! before one can truly share it. STAY – Seeing There’s Another You. By practicing LOVE you encounter STAY!